You are here: Home / News / Client News / Cord cutting…hurting the US Pay-TV industry? 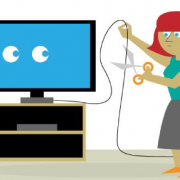 Cord cutting…hurting the US Pay-TV industry? I think I’m a fairly good representative of the ‘cord-cutting’ generation. In the past I’ve had a Sky package, whereas I now don’t have a cable or a satellite subscription. Aside from basic Freeview, which I watch with my five housemates, I solely stream my chosen video content via IP –through a range of OTT or VOD platforms as such Netflix or iPlayer. With the proliferation of high quality content available either for free or on affordable short term contracts, and also portable IP-enabled devices to watch their content on, the prospect of paying approximately £50 per month for satellite or cable is perhaps becoming increasingly unattractive for consumers who are becoming far more aware of their options. I see it as a global trend which more consumers, particularly of the younger age group, are taking up. Our American cousins on the other side of the pond have just as much, if not more, impetus to cut the cord. The big internet service providers have significant control and influence over the US TV market, and can levy hefty connection and subscription fees. The recent deal between Comcast and Time Warner Cable, worth an estimated £27 billion, will create a company that could legitimately claim to control around three quarters of the US cable industry. There is a theory that the big cable companies are threatened by the success and consumer uptake of OTT services, and are taking measures to impede their progress. Recently, we saw Netflix strike a deal with Comcast to allow its streaming traffic a more direct route through the US cable giant’s networks. Russell Brandom of ‘The Verge’ suggests this could be a sign that Comcast has been ‘throttling’ Netflix’s traffic, causing the speed in which its users could stream content to drastically drop. It seems like troubling times indeed for net neutrality and the average consumer, and it is not hard to imagine a situation where American consumers would be looking to sever their ties to their providers. 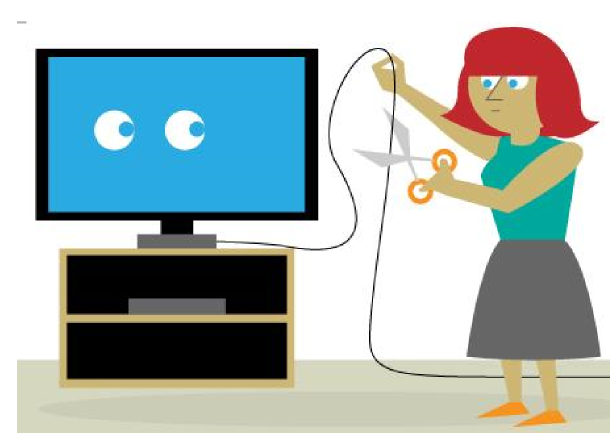 A recent Morgan Stanley study said that 17% of American pay-TV subscribers surveyed would either ‘definitely’ or ‘probably’ look to cut the cord this year. Despite this, it seems that many Americans are sticking with their cable packages – the 13 largest US providers suffered a loss of only 104,521 subscribers (0.1%!) in 2013. Perhaps this means that the US Pay-TV market is simply more resilient to the rapid uptake in OTT services than was previously thought? https://www.platformcomms.com/wp-content/uploads/Screen-Shot-2014-07-04-at-09.08.52.png 433 610 Platform Team /wp-content/uploads/platform-communications-logo-niagara.png Platform Team2014-07-04 09:15:292017-02-25 16:54:21Cord cutting...hurting the US Pay-TV industry?